TownCenter Partners, LLC lead Asset Manager is Mr. Roni A. Elias. From modest beginnings, and with the help of a hand-picked dream team of professionals we have built one of the most dynamic and fastest growing companies in the country. TownCenter Partners LLC(TCP) is a real estate partner and master-planner providing development, leasing, management, and third party services. The company’s demonstrated ability to apply big ideas in creative and innovative ways has played a defining role in the firm’s success. Yet, TCP's most important insight has been the core understanding that it is not sight lines or site plans, but human activity, that defines a space and creates a place. There is a general consensus that a party to an international arbitration who is receiving funding from a third party should disclosure the existence of a third-party funding arrangement. However, there is no mandatory regulation of third-party funders in international arbitration. This blog post considers some proposed guidelines for disclosure regulation of third party funders in international arbitration. First, at the beginning of arbitration the funded party should disclosure the existence of a third-party funder to all parties as well as to the arbitral tribunal. Some suggest that also at this time the funded party should have to disclose the identity of the third-party funder. However, if after it is disclosed that there is a third-party funder, if no one raises any possible conflicts of interest with a third party funder than they may not be a reason to disclose the identity. How much disclosure beyond the fact that there is a third-party funder is still very much debated. But it is important to consider the main aspect that makes arbitration unique from litigation is that the parties set the rules from the beginning. Therefore, if a party would like a detailed funding arrangement if third party funding is being used than that should be made clear at the onset. The flip side to that is, a party that is considering third party funding may not agree to that rule. Thus, there is a need for a happy medium. I sit necessary to disclose the identity of the funder? Maybe in a particular circumstance. Should the funding agreement have to be produced and given to all parties and the arbitrator? Possibly, but again that may be more unlikely to be agreed upon. One potential compromise could be that more detailed information regarding a third party funder could be provided to the arbiter only. This could be a good protection for each side because the arbiter has the ability to make rulings and could review the agreement or whatever is provided and then decide if the other party should receive the same information. In a field that is still continually evolving it will be interesting to see what regulations come in the future and how they are perceived by the international arbitration community. Works Cited: Elizabeth Chan, Proposed Guidelines for the Disclosure of Third-Party Funding Arrangements in International Arbitration, American Review of International Arbitration (2015). This entry was posted in Litigation Finance and tagged alternative dispute resolution, alternative litigation finance, arbitration, Litigation Finance, third-party funding on April 22, 2019 by TownCenter Partner Team. In a world where arbitration has some fans but also some opposition it is important to consider why some are hesitant to agree to arbitration. Additionally, it may be important to find a way to come around to accepting arbitration because it does not look to be going away as it seems to be essential for international commerce. One of the main complaints against arbitration is something along the lines of “we had a bad experience when our last arbitrator seemed biased.” While bias is a legitimate concern, it is important to remember that a majority of state courts in the United States have elected judges. Meaning that the judges could potentially be dependent on your adversary and its counsel for fundraising and support. Or if it’s a jury trial, just remember that statistics show, at least in the employment context, that juries are much more likely to make an unusually large award to a claimant. A second complaint of arbitration is that parties do not like not having discovery. But part of the overlooked beauty of arbitration is that the parties set the terms. Therefore, if you want discovery be sure to include it in the terms of arbitration, this means that there can still be depositions in arbitrations if both parties agree to it. Or parties can agree to set a limit on discovery, for example, only two depositions each. The flexibility and customization allows parties to make arbitration what they want. Another reason some people avoid arbitration is that they would prefer to be in federal court. However, when considering this complaint it is important to consider the limited scope of federal jurisdiction. Unless the complaint raises a question of federal law (which is probably less likely than you think) or there is diversity or alienage jurisdiction than it is not coming into federal court no matter what the parties would like. Lastly, for bigger corporations and businesses in particular, they often want to proceed to court because they know they have more financial baking and resources than the plaintiff does. However, because litigation finance has become such a viable option to so many people, this point makes less sense. Litigation finance or arbitration finance seeks to level the playing field and facilitate justice no matter the resources of each of the parties. Works Cited: John Shope, Making an Informed Choice About Arbitration, Law360 (March 1, 2018). This entry was posted in Litigation Finance and tagged alternative dispute resolution, alternative litigation finance, arbitration, Litigation Finance, third-party funding on April 17, 2019 by TownCenter Partner Team. Just as litigation finance is becoming a great alternative for all kinds of cases and clients involved in litigation, it can be a great asset in arbitration settings as well. The previous blog post answered the question of, what is arbitration? But now let’s consider, how does litigation finance work with arbitration? The name litigation finance, litigation funding, or alternative litigation finance may be confusing to some as it seems to suggest that this type of capital can serve one purpose only, fund litigation. But that is not necessarily the case, as now many “litigation” financiers are also funding arbitrations. Financing arbitration is not all that different than funding litigation. The capital is still provided on a non-recourse basis, meaning that the funder only receives payment if there is a successful outcome. The claimant does not pay any upfront costs for the capital. The capital may be used to cover all or just some of the fees associated with the arbitration and the funder will likely consider the cost v. benefit of the arbitration before agreeing to fund it. I think some of the confusion around arbitration finance may stem from the fact that arbitration by nature is meant to be a quicker and often cheaper form of dispute resolution. Therefore, why would anyone need capital for it, as opposed to litigation, which is known to be a long, drawn out, and expensive process? However, even if the expenses may add up to be less, shifting the cost and risks off of your balance sheet may make good business sense. It can serve to alleviate budget pressures and allow businesses or individuals to put their money into other things that they may need to be focusing on at the time. Additionally, sometimes the quicker and less expensive plan does not always pan out that way. 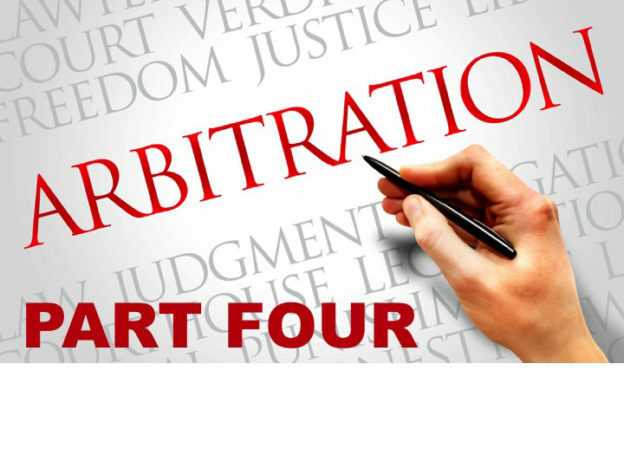 At times there has been arbitration that lasts as long or almost as long as litigation would have. Lastly, arbitration can work for law firms or clients in a finance portfolio way. This means that the capital would not be put towards a single case but rather a portfolio of cases, which serves to diversify risk, and can lead to better prices. Works Cited: Arbitration Litigation Finance, BurdFord Capital. This entry was posted in Litigation Finance and tagged alternative dispute resolution, alternative litigation finance, arbitration, Litigation Finance, third-party funding on April 12, 2019 by TownCenter Partner Team. If you are contemplating filing a lawsuit against an individual or corporation you may first hear of arbitration as an option and wonder what is arbitration? 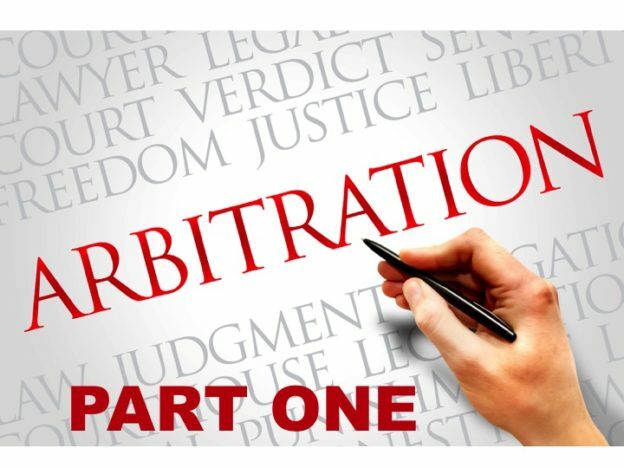 In this short series, these blog posts will cover what arbitration is, how it can be connected to litigation finance companies, and current issues in arbitration. To start, arbitration is just one of the methods of alternative dispute resolution (ADR). As the name suggests ADR is an alternative way to bring your grievance rather than filing a lawsuit and going to court. The way that our United States justice system is set-up is that everyone has a right to go to court. Therefore, if one party would rather arbitrate a disagreement then they will need to convince the other party to get on board with arbitration. If the second party refuses to arbitrate than the issue will go to court. However, what you may not realize is people agree to arbitration all the time without necessarily realizing it. This is because an agreement to go to arbitration does not have to happen only after an issue arises but it can also be agreed upon before any issue comes up. This means that many employee contracts, or other contracts between two parties, include an arbitration clause. Arbitration is a very broad clause that can take many forms. But most common, the complaining party will send the opposing party a notice of their intent to arbitrate a dispute and explain what basis of the dispute. The opposing party will then have a period to respond before there is a selection of arbitrators and a hearing is held. 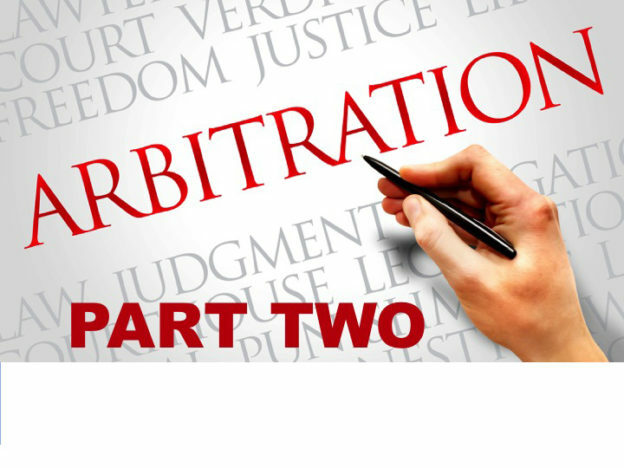 Depending on the kind of arbitration there may be just one arbitrator or there may be a board of arbitrators but usually the selection process for picking arbitrators requires input from both parties. The rules of arbitration also vary widely from case to case but there are sometimes specific guidelines set out in the arbitration section of the contract between two parties. If not an attorney specializing in alternative dispute resolution can often help. Usually, there are similar components in arbitration as there would be in a trial such as evidence, arguments, and witnesses but the process overall is meant to be quicker and simpler. 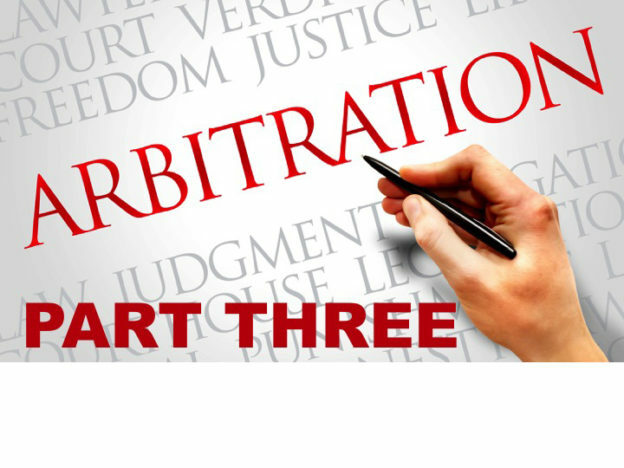 At the end of a hearing there is a ruling delivered by the arbitrator or panel or arbitrators. Depending on the type of arbitration this may be a final ruling or there may be an option to appeal this ruling in another procedure. This entry was posted in Litigation Finance and tagged alternative dispute resolution, alternative litigation finance, arbitration, Litigation Finance, third-party funding on April 3, 2019 by TownCenter Partner Team. Just as litigation finance is seen as an area in the legal field that has seen increased development recently, antitrust law is similar. Both fields have been gaining traction not only in the United States in the recent years but also abroad. In fact, the growth of the two could be related, as antitrust claims are attractive to litigation funders. 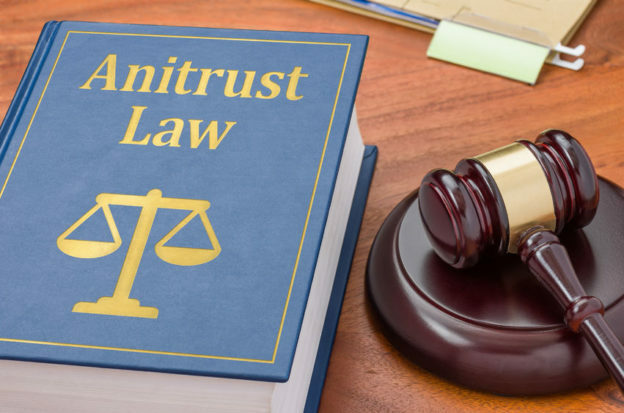 Funders are attracted to antitrust claims specifically for a variety of reasons but here are a few that arose from interviews of litigation financiers: as antitrust is a complicated area of practice, cases are generally brought by experienced and highly specialized legal teams; the value of antitrust claims is usually high, especially when a cartel has been operating for many years; sometimes there are there are enough victims to file a class action which increases the financial viability of particular actions; and antitrust claims usually settle before a final judgment which reduces some of the risks associated with funding. As litigation finance has been used longer in Europe than in the United States there have been several high-profile court actions brought by third party funders in regards to antitrust cases. One of the largest was when the Belgian firm Cartel Damage Claims, sought recompense in various member states against manufacturers who were price-fixing cartels regarding different chemical mixtures: Hydrogen Peroxide in Germany and Finland, Sodium Chlorate and Paraffin Wax in the Netherlands, and Clement in Germany, to name a few. Litigation finance is a plus for parties because it allows for justice even when the party cannot afford it. By using litigation finance there is no cost upfront but rather only is there is a successful outcome. Additionally, in antitrust cases that are being dragged out there could be an advantage to using litigation finance to sustain the claim, even if it wasn’t used from the beginning of the matter. Also, it should be noted that many antitrust cases could span multiple jurisdictions just by the nature of what usually happens. A good example of this is the Belgian Cartel Damage Claims case mentioned above. But with multiple jurisdictions comes added cost, just giving another reason why antitrust cases and litigation finance may go hand-in-hand. Works Cited: Anna Rodgers, Peter Scoot, Arnaud Sanz, D. Michael Brown, Emerging Issues in Third-Party Litigation Funding: What Antitrust Lawyers Need to Know, American Bar Association (December 2016). This entry was posted in Litigation Finance and tagged alternative litigation finance, American Bar Association, antitrust, Litigation Finance, third-party funding on March 27, 2019 by TownCenter Partner Team. Business torts, or sometimes known as economic torts, are sometimes the best way to settle unexpected injury for a deal gone badly. These types of suits can be contain a number of claims, usually stemming from principles at common law that can be brought against entire businesses, their officers, or other parties that contributed to the loss. A few of the common business torts include: unfair competition – when competitors use illegal means to get an advantage; breach of fiduciary duty – when an officer, board member, employee (or someone else serving in a fiduciary capacity) fails to fulfill his or her responsibilities; commercial disparagement or trade libel – when someone publishes derogatory information about someone to discourage others from working with that individual or company; fraudulent misrepresentation – when a false representation is made knowingly or recklessly with the intention of being relied upon, and then the representation is detrimentally relied upon; tortious interference – wrongful interference with a contractual or business relationship; and trade secret misappropriation – theft of economically valuable information when secrecy is a core advantage of the information. While all lawsuits can be very drawn out and difficult many of these business tort claims in particular can be very hard to prove. Since we live in a system that is “innocent until proven guilty,” proof is extremely vital to a successful claim. Often times that means a higher cost of investigations and discovery to be done. Not every business can handle these extra stresses and costs of litigation even when they were truly wrong. But capital from a litigation finance company can provide these resources for businesses or at least supplement what the business is able to do on their own. The goal of this type of agreement is to help justice be served for businesses that have been truly injured. This is why most litigation finance companies will first do a thorough evaluation of the claim before signing an agreement. However, if there is a solid claim litigation finance can be a great asset for businesses seeking to use litigation as a way to recover from an injury. Works Cited: How to Fund a Business Tort Lawsuit, LexShares (February 28, 2017). This entry was posted in Litigation Finance and tagged alternative litigation finance, breach of fiduciary duty, business tort, commercial disparagement, economic tort, fraudulent misrepresentation, Litigation Finance, third-party funding, tortious interference, trade libel, trade secret misappropriation, unfair competition on March 20, 2019 by TownCenter Partner Team. Work product doctrine protects materials prepared in anticipation of litigation, meaning they do not have to be given to opposing counsel during discovery. But with the growth of litigation finance, there has been a question of if agreements between attorneys and funders are covered by attorney work product. The facts support agreements between attorneys and funder as work product. At the most common sense level, usually litigation funders would only be contacted if there were an anticipated lawsuit to fund. Therefore, any agreements or even emails back-and-forth are covered by the doctrine. The court in Lambeth Magnetic Structures v. Seagate Technology (US) Holdings held that “communications [between plaintiff and a litigation funder] were primarily, if not exclusively, for the purpose of preparing for litigation. Thus, they were protected under the work product doctrine. It has been argued that funding agreements and related documents between a claimant and financier or between the plaintiff’s attorney and the financier constitute a business deal and therefore are not covered by the work product doctrine. However, the court in Lambeth refuted this exact argument from the defendant, saying that the materials were covered by work-product immunity. Ultimately, the main point of this decision was that the materials were still made in anticipation of litigation. Thus, they are covered by work-product immunity. It is important to note that work product immunity and waiver of attorney-client privilege is not the same. 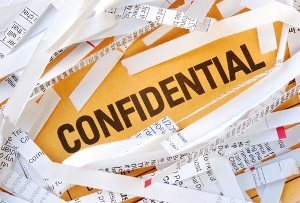 Attorney-client privilege is meant to assure confidentiality for whatever a client tells their attorney. However, that privilege is waived when a third-party is given information that would usually be protected by attorney-client privilege, this can and often does happen when reaching a litigation financing agreement. But just because attorney-client privilege was waived does not mean that the information is not covered my work-product immunity. Works Cited: Eric M. Robinson, Protecting Privilege in Litigation Financing Negotiations, Law360 (March 1, 2018). This entry was posted in Litigation Finance and tagged alternative litigation finance, discovery, Litigation Finance, third-party funding, work product doctrine on March 13, 2019 by TownCenter Partner Team. As litigation finance has grown and expanded into many areas of the law, the energy sector has become a natural fit for the use of litigation finance. This is in part because in the energy business there are a multitude of unknowns from price fluctuations to high infrastructure coasts, from the risk of dry wells to the complexities of international deals with multiple partners. Therefore, a way to reduce risks, as litigation finance does, is great for an industry with more uncertainty than other industries. Additionally, the industry is very complex, often requiring expensive infrastructure and risky, time-consuming extraction and distribution activities. As well as regulation, permissions, and rights, there is a lot to create disputes between partners, distributors, or even nation-states. This is where litigation finance can help provide capital for commercial litigation and arbitration, allowing the energy companies to continue to focus on meeting other business needs. The traditional way to providing assistance would be through a single claim. 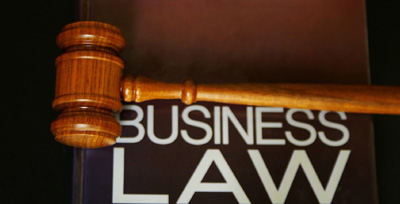 In this scenario capital is provided to the litigant or the law firm to pay some or all of one dispute’s costs. This type of funding can be beneficial for smaller energy companies that simply do not have an extensive budget for litigation or for large, publicly traded companies that do not want the negative accounting impact that comes with including spending for litigation on the companies balance sheets. Whether in the form of single case financing or portfolio transaction structures, anything that increases predictability and shifts risk in the energy sector adds value for the company. This is why there has been an increase of energy companies using litigation finance not just in the United States but also internationally. 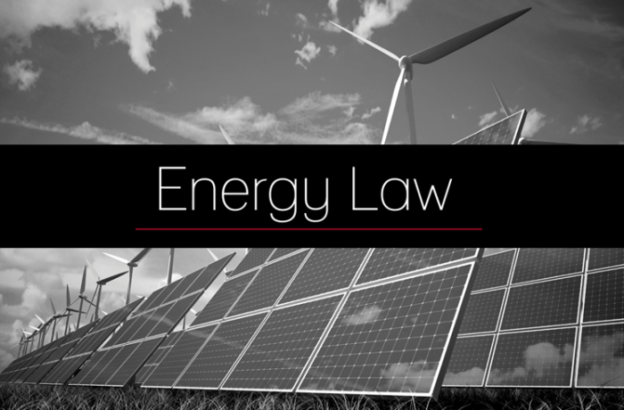 This entry was posted in Litigation Finance and tagged alternative litigation finance, energy sector, Litigation Finance, third-party funding on February 27, 2019 by TownCenter Partner Team. Whenever people are anticipating a lawsuit, often their first thought is something along the lines of needing to find the best attorney possible to fight for me and while attorney representation can be very critical to the success of a case, attorneys are not the only important people in the courtroom. 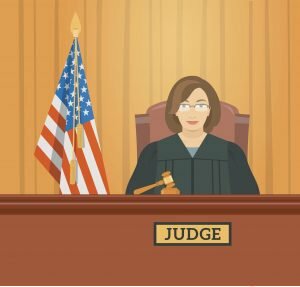 Judges often have a very important role in a trial, not only to maintain order of the proceeding and ensure that the proper procedures for that court are followed but also to decide any issue of law. A common misconception is that in jury trials, the jury decides everything about the case. However, that is not true, juries decide questions of fact but any time an attorney raises an objection the judge is making a decision as a matter of law. For example, an objection to a piece of evidence, the judge is deciding based on the Rules of Evidence (law) if that particular piece is admissible or not. Additionally, in jury trials it is the judge that instructs the jury on relevant laws and refines the scope of facts under the jurors’ consideration. Of course, in bench trials, there is no jury so the judge decides both questions of fact and law. Over time judges begin to acquire reputations. Sometimes these reputations are on a particular topic, such as that judge is particularly pro-life or this judge is anti regulation on campaign finance. Or sometimes a judge’s reputation may be broader, that they are a plaintiff-oriented or defense-oriented. Often these reputations can be found by reading the judge’s previous decisions, newspaper articles on the judge, or looking at their past work and life experiences. So what does this have to do with litigation finance? This is just one factor than could potentially be important in analyzing if the financier wants to invest in this case. It is can be helpful to see if the judge has ruled on any of the same or similar kind of cases recently as the one the funder is evaluating to see how that case came out. Additionally, if a judge has a reputation with attorneys of being cold or running a very difficult courtroom it may be an incentive for attorneys to want to settle which is good for the potential financier to know beforehand. It is unlikely for a funder to decide to invest in a case or not based solely on who the judge is and sometimes a funder gets involved before the case has even been assigned a judge. But it is an interesting factor that may be considered in the analysis and is often overlooked by potential claimants. Works Cited: Eyeing the Beholder: Accounting for the Pivotal Role Judges Play in a Lawsuit, LexShares (May 22, 2017). This entry was posted in Litigation Finance and tagged alternative litigation finance, Litigation Finance, third-party funding on February 20, 2019 by TownCenter Partner Team. In the world of intellectual property, often the way to enact licensing deals is through litigation. However, litigation comes with significant risks and costs and studies show that there is one group in particular that is more hesitant than others to enforce patents through litigation. That is, universities. Since many universities across the United States produce cutting-edge research, intellectual property is very important to them but they often have to consider other issues before pursuing litigation to protect their IP. Some of those issues include whether a licensing dispute will harm valuable research partnerships between the university and corporate sponsors, if the university will have the support of professors and individual colleges at the university, and will litigation deter future research partners from working with the university. Litigation financing can be used by universities to help in this type of scenario. If the research is a narrowly focused on a particular topic, single-case financing may be an appropriate option. For single-case financing the funder would work with the university and its litigation counsel to finance the attorney’s fees and other costs through trial and appeal, including any Patent Trial and Appeal Board (PTAB) proceedings. This is a great option for the university because like all litigation financing it is no cost unless there is a successful outcome and it shifts the risk from the university to the financier. However, for universities that have research crossing over far-ranging fields the single-case option may not make sense. Universities like this may want to purse a multi-faceted licensing approach for the overall licensing program to be successful. This is even more risk and money and commitment for the university. But that is where litigation financing can come in and provide significant capital for such a process, which would allow the university to spread its risk and facilitate a broader resolution. While universities may not at first thought be clients that one would think litigation finance could benefit, this post suggests that they are. From small claims to much larger diverse group of claims, litigation finance will help shift the risk from the university to an entity with diversified risk across uncorrelated claimants. This allows the university to focus on their main prerogatives educating students and continuing their extensive research initiatives. Works Cited: Katharine Wolanyk & Emily Hostage, Using Legal Finance to Unlock University IP Assets, Burford Capital (July 17, 2018). This entry was posted in Litigation Finance and tagged alternative litigation finance, intellectual property, Litigation Finance, patent law, third-party funding, universities on February 13, 2019 by TownCenter Partner Team.